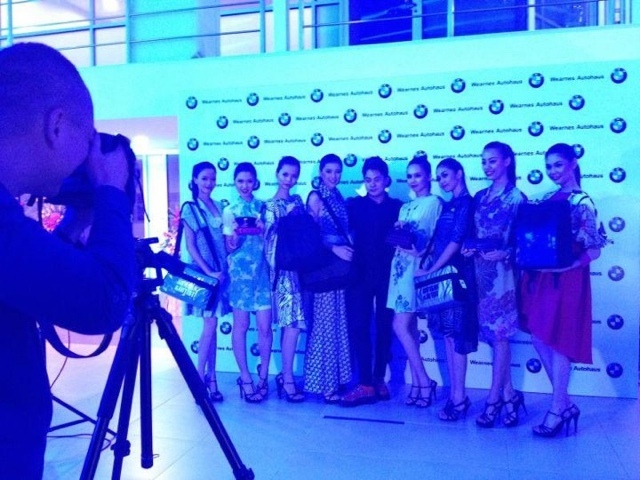 Congratulations to BMW Wearnes Autohaus for their Grand Opening last week. I feel so happy that I'm one of the model for their fashion show presentation, in Jendela KL's outfits and presenting Artisan & Artist products. Seriously love the feeling to be on stage, cat-walking around with beautiful make-up and outfits on. It's one of the moment that makes me feel that I'm actually useful and be able to achieve something. Thank you to Amber Chia Academy for this wonderful opportunity. I'm so happy to work with all the models too. Really love each and everyone of them to bits! We're not as cool as we look. Crazy to be honest. Lol! p.s: I really do hope that my effort in this industry can be seen... I'll be putting more and more effort to become a successful model. Gambatte, Reiko!